Life has been so much better and fun this summer! 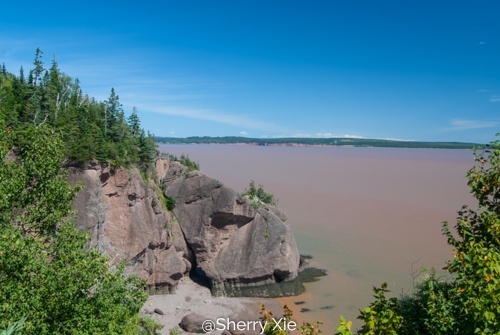 My partner and I planned our first trip in early September, to the beautiful east coast of Canada. 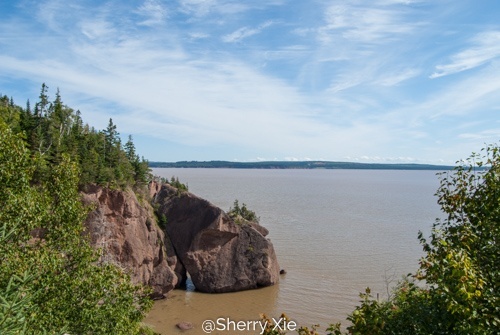 The first stop is Moncton, and we are here to visit Hopewell Rocks Park. 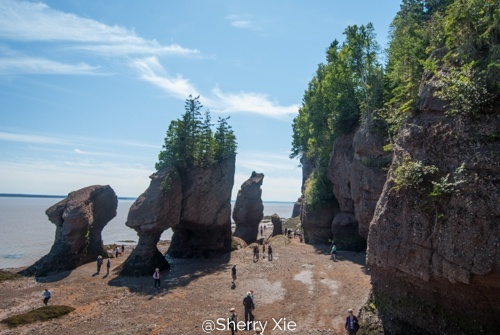 It is also called Flowerpots Rocks, because each of them look like a flower pot. 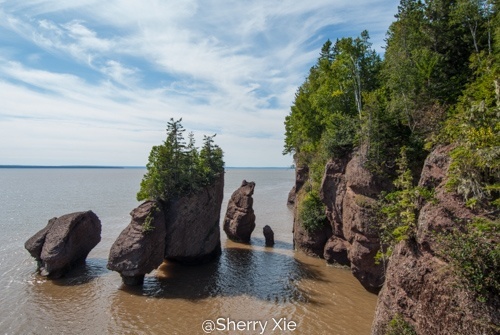 These rock formations are caused by tidal erosion in The Hopewell Rocks Ocean in the bay of fundy. 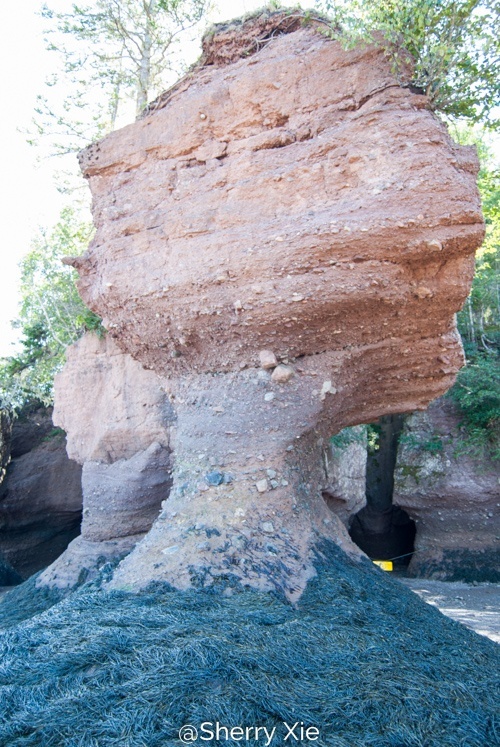 By planning the visit around the high tide and low tide in the PDF table posted on the web site, we were able to see them both in one day, as well as walking on the ocean floor during the low tide. It was very interesting experience. The park was not very big. I would say it’s just the right amount of hiking trail for a 23 degree sunny day; with a nice cafe in the park.